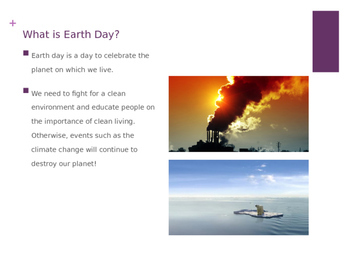 This Earth Day Powerpoint is all about educating children on the importance of saving our planet. 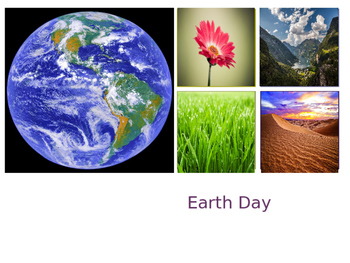 It includes Who, What, Where, When and Why we celebrate Earth Day as well as the ways we can Reduce, Reuse and Recycle to help protect our planet. 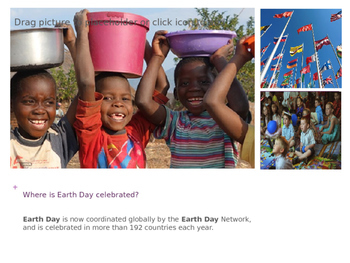 An optional activity is included at the end that can be used as an extension. With the extension, the overall lesson is around 30 minutes long. 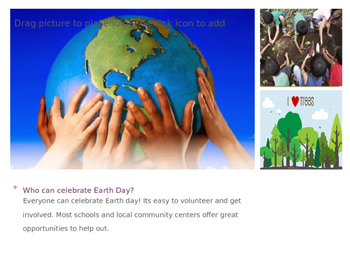 (Students will create their own Earth Day posters to help educate fellow classmates on the ways they can help protect the planet). *Can be used for a variety of grades K-6. * Easy to follow and read.